At Elm Terrace Gardens, personal care—similar to assisted living—is available in a variety of nicely appointed private suites with full bathrooms and kitchenettes. 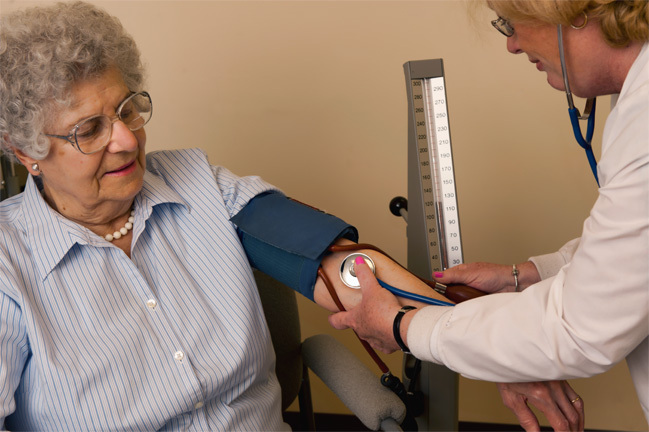 Attentive staff members treat you with respect and kindness as they provide precisely the help you require—perhaps help getting started in the morning, mobility assistance or medication administration. 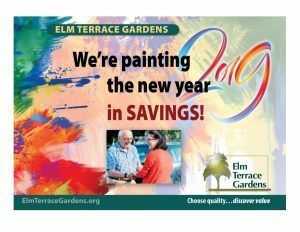 With three levels of supportive services you can continue to enjoy a self-directed lifestyle, the company of friends, your favorite events and all the hallmarks of life at Elm Terrace Gardens. We invite you to explore our Personal Care Suites through our interactive virtual tours. Please direct inquiries about the Personal Care Facility to Erin Trout, (215.361.5656). Complete and return the confidential Personal Care Application. If a personal care suite is not available, you will be notified of a decision about eligibility for waiting list status. Have your physician complete the Medical Evaluation form in its entirety. This form is required by state regulation and is provided to you by Elm Terrace Gardens. Once the Medical Evaluation Form has been completed. Schedule an appointment for your assessment screening, followed by an interview with the Admissions Committee. After the interview, the President of Elm Terrace Gardens will notify you in writing of the Committee’s decision regarding your application. If approved, begin your residency within thirty (30) days of the date of the assessment screening. By the date of residency, a Personal Care Admission Agreement with Elm Terrace Gardens will be executed. By date of residency, make payment to Elm Terrace Gardens for the first thirty (30) days of residence. Any advance deposit will be credited to your account. By date of residency, provide information on power of attorney, advance directive, and medical insurance so that we can include these important items in your file for reference when necessary. Accept a warm welcome to the Elm Terrace Gardens community!